Julia O’Faolain is a member of the diaspora of Irish writers who, scattered throughout Europe and the Americas, constantly return in their writing to Ireland, its myth and its reality. 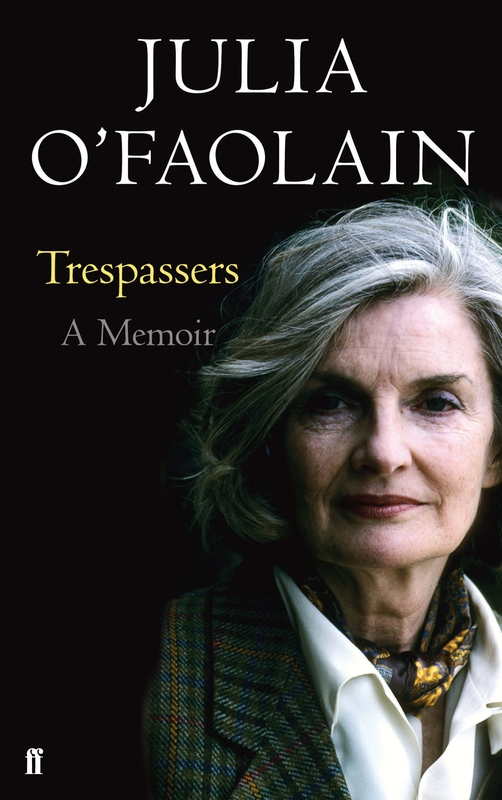 O’Faolain, now in her eighties, describes her experience of living and working in Rome, Paris, London, Florence, Oregon and LA in this loosely constructed, anecdotal memoir, but it is the Ireland of her 1930s childhood that leaves the strongest impression. O’Faolain’s portrayal of her complex, dangerous, charismatic parents is the strongest aspect of the book. Other ‘characters’ are disappointing, surprisingly so since she is a novelist with an avowed interest in character. There are entertaining anecdotes about Garret Fitzgerald, Lucian Freud, Harold Acton and other luminaries who strew her life’s path, but only Sean and Eileen leap out in three dimensions. The character of the memoirist herself is also strangely absent. O’Faolain admires her father for his brave stand against the bullying Roman Catholic church. She acknowledges, with hindsight, the rich literary soil he tilled, in which her own talent could flourish. But in terms of the pain his rampant infidelity inflicted on Eileen – and by extension, on the whole family – or his quasi-incestuous desire to control his only daughter’s life – ‘Leave your Frenchman, or your mother will leave us both!’ – he was a skilful enough bully himself. The long-suffering Eileen never did leave. Neither did she settle into cosy domesticity. Recalling Civil War days, she said that though fear stopped you from sleeping, it also kept you from getting fat or bored; her attraction to danger made her a stimulating, if unrestful, mother. The young Julia was hooked on the nightmare thrill of the stories Eileen told her, stories of changelings, or of fairy mansions enticing the unwary traveller, only to sink down into the bog at dawn. Eileen and Julia were the trespassers of the title; mother and daughter would break into and explore the deserted, boarded up estates that characterized 1930sIreland. This trespassing becomes a metaphor for the writer of fiction’s need to infiltrate the physical and emotional territory of others. Julia’s convent education got off to a bad start when she wore a scarlet hair ribbon on her first day. ’Who’s the little girl wearing England’s cruel red?’ called out Mother Fidelia, who proved to be well versed in the art of cruelty herself. Did Eileen knowingly supply the red ribbon, in order to keep her daughter on edge? Addicted to instability, Julia, a beautiful and intelligent young woman, sought political and sexual adventure, which was in plentiful supply in fractured post-war Europe.